Cellulite treatment with the POWERShape device is the latest technology for reducing fat tissue and tightening the skin. 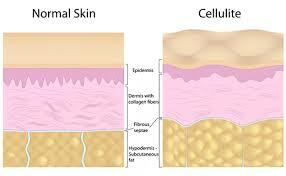 The cellulite treatment combines bipolar radio waves, vacuum massage and lipolaser. This technology has been designed specifically to shrink grown fat cells, improve metabolism and stimulate collagen production. It's a non-surgical and painless method for cellulite treatment, which has a positive side effect of a smoother skin, fewer wrinkles and better blood flow. There's no need for a separate recovery after the treatment and you can perform it after work without hindering your everyday life. Bipolar radio waves (2 MHz), transfers heat energy to the treatable area, heating the skin up to 42 degrees and up to 5-10 mm deep. The heat causes the spread of oxygen inside the cells to improve, helps microcirculation inside the cells, improves metabolism and elasticity of your skin and has a tightening effect. 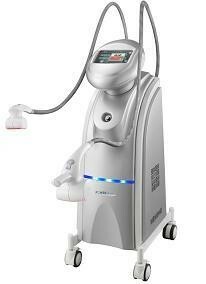 Lipolaser - a laser beam at a low 650 nm wavelength, which improves metabolism and stimulates blood circulation. 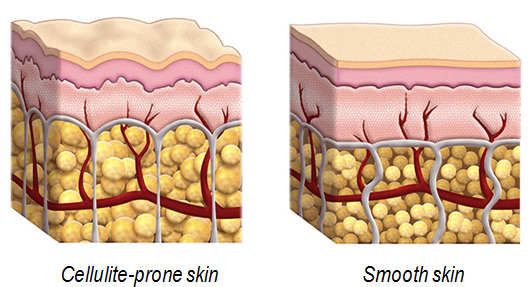 Cellulite treatments can be performed on all areas of the skin. Common treatable areas are: stomach, back, buttocks, thighs from the front and back. In addition to massaging and moisturising the skin, it also has a peeling effect. If you have problems with cellulite or obesity, you can have this relaxing treatment for just tightening the skin, increasing muscle tone or in the case of blood circulation issues, also if your arms and legs are cold, and you may have this treatment just to improve your well-being. The treatment can be performed on the whole body. Different nozzles are used to treat different areas. 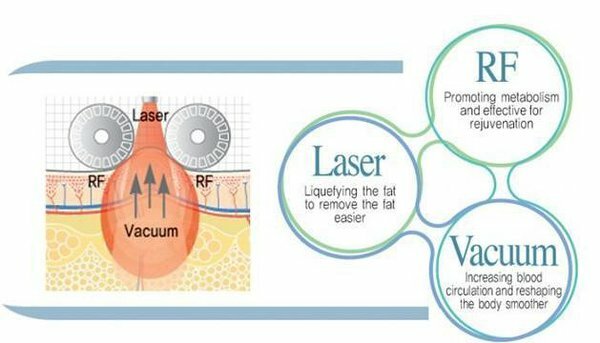 If you don't need cellulite treatment, but just want a massage and tighten your skin, we can turn off the laser and you'll have a very relaxing, warming massage with a peeling effect. We also recommend this treatment for your back or arms even if there's no muscle tissue, but your skin is loose and needs tightening. If you've just had or are soon having a surgical operation, please consult with your doctor before taking the treatment. Treating one area takes 15 min. For a single session, the treatment can be performed up to 45 minutes. The POWERShape treatment consists of 5-20 procedures 1-2 times per week. After taking the treatment, a physical workout with low strain is recommended, such as vibration therapy. Healthy lifestyle and eating and regular physical workouts help achieve better results. There are no restrictions after the treatment. The POWERShape device is produced in South Korea and has been approved by CE and FDA.